Whether it’s Cartier’s and Tiffany’s — or Fifth Avenue designer boutiques — or even Canal Street open air markets, you’re sure to find everything on your holiday shopping list in New York City. 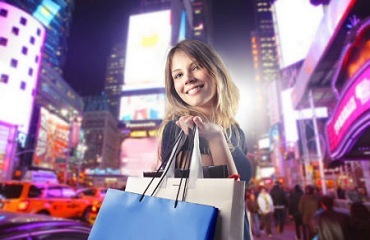 We’ll give you valuable discount coupons, too, for NYC’s most famous department stores – Macy’s and Bloomingdale’s! 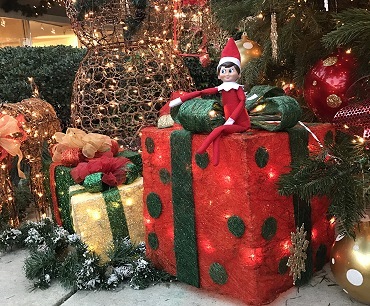 Don’t forget to look at the magnificent NYC holiday window displays while shopping at New York City’s most famous stores. 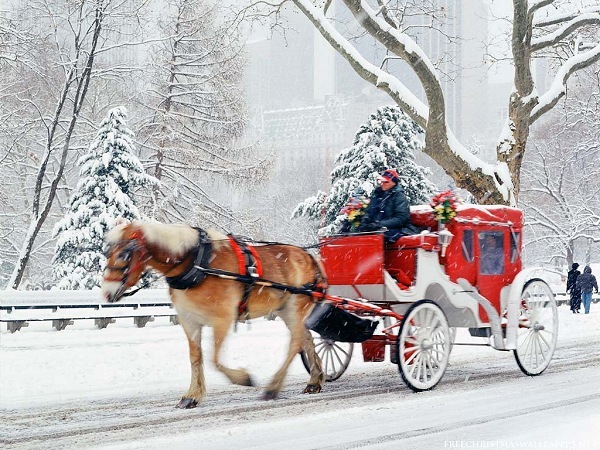 You will also find unique items at the many holiday markets and gift fairs throughout New York City. 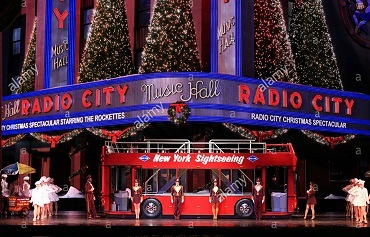 And when the stores close…Broadway curtains rise, the Rockefeller Center Christmas Tree is lit, New York City holiday lights are aglow, the Rockettes are on stage at the Radio City Christmas Spectacular, and the Big Apple is wrapped in winter holiday splendor! 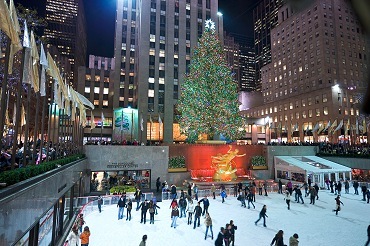 A holiday shopping weekend in NYC is the perfect start to a wonderful holiday season. Located right in the heart of midtown Manhattan, the Sheraton New York Hotel & Towers is just steps away from Times Square, the Broadway theater district, Rockefeller Center, Carnegie Hall, Central Park and 5th and Madison Avenue shopping. Newly renovated, the lobby is elegant and comfortable. All rooms feature the ultra comfortable “Sweet Sleeper” bed ensemble, high speed internet access, coffee makers with complimentary coffee & tea, phones with personalized voice mail, hairdryers, irons with ironing boards and terry cloth bathrobes. The hotel boasts a fully equipped health club and 24 hour room service. 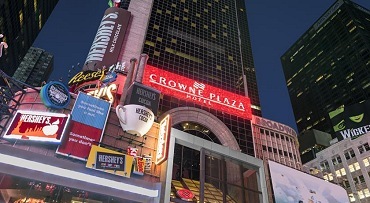 Experience Crowne Plaza Times Square Manhattan conveniently located in the heart of New York’s world-famous Times Square. Whether visiting New York for business or pleasure, the 46-story Crowne Plaza Times Square Manhattan offers the best in service and value. During your stay, tour the city. The hotel is centrally located near historic tourist attractions such as Carnegie Hall, Lincoln Center, and Madison Square Garden! 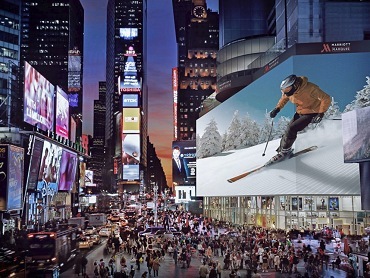 The New York Marriott Marquis Hotel, located in the Times Square theater district is a world-class New York City hotel that sparkles with newly renovated hotel rooms, high-speed elevators, and fantastic hotel restaurants and lounges. Famous for its renowned Marriott service, this NYC hotel is perfect for weekend getaways, business, family and leisure travel. This landmark hotel, designed by John Portman, has great architectural interest, including a 37-story atrium with 12 glass enclosed elevators. All 1,946 guest rooms and suites are spacious and comfortably appointed. 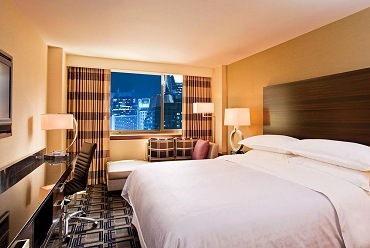 Many guest rooms offer a Times Square view. 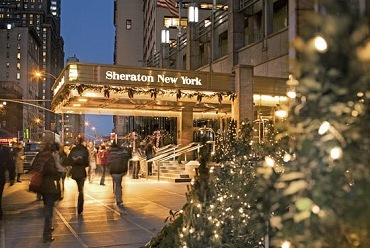 Book your NYC Pre-Holiday Shopping Spree now for the best rates, starting at $464.50 per person for two night complete package!